International Strength and Conditioning Coach Mike McGurn has the prestigious honour of training three National Senior Irish Teams in different codes and winning two World Titles in two different sports. McGurn has overseen the physical conditioning of these National teams at 3 World Cup Tournaments and 8 Six Nations Tournaments. Hailing from GAA traditions, Mike McGurn began his career in sport at the age of 15 when he became involved in athletics. He competed for Ulster and Ireland in cross country and athletics events. For his efforts was awarded a scholarship to study Sports Science in the USA for four years. Once graduated and while lecturing in Workington, he became fitness coach for Workington Rugby League club. He quickly became sought after by the cream of Rugby League. Known for his no-nonsense, hard working attitude, McGurn helped guide St Helens to the elusive treble – Challenge Cup, Super League and World Club Champions in the 2000/2001 season. Premiership Football teams have all availed of McGurns unique training methods. McGurn worked as Fitness Coach for 3 seasons with Hull City Football Club and was Fitness Consultant at Leeds United Football Club and Everton Football Club. 2002 saw him make the move back to Ireland after being head-hunted by Eddie O’Sullivan to join the national Rugby Union team as Head of Strength and Conditioning. In his tenure of 8 years, he was involved in 84 International test games with Ireland, he totally revolutionised the training structures and systems of the squad laying the foundations for what has become the most successful Irish Rugby Team ever. In 2008 he began working with boxer Bernard Dunne, helping the Dubliner become Super Bantam-Weight Champion of the World. 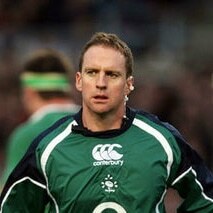 In November 2008 and 2011 he enjoyed more success, this time with the Irish Compromise Rules team when they won the series beating Austrailia in both tests. McGurn reguarly presents at conferences on Strength and Conditioning in Australia, Poland, UK and the US. including the UEFA Soccer European Pro Licence and Australian Strength and Conditioning Association Conference. McGurn consults teams and individuals and is currently Lead Strength and Conditioning Coach at Queens University Belfast. Mike is available for a range of presentations from the synergy of high level sport and high level business to corporate fitness and how having a fitter workforce increases productivity. Mike has also presented on how to incorporate fitness routines whilst travelling long haul and staying in hotels.